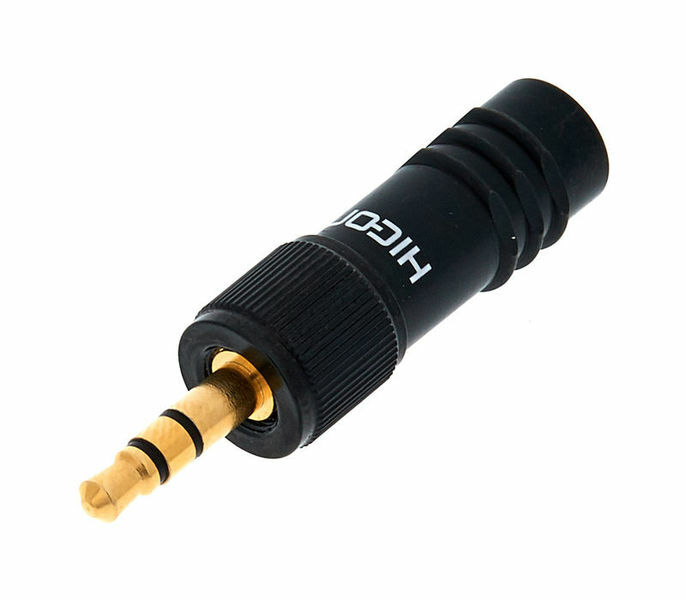 I chose this plug to build a custom cable for my Sennheiser Evolution G1 transmitter, to replace my low quality original Sennheiser moulded cable that had gone dead. It is a high quality plug, and it works great with the Sennheiser unit (no noise when shaking it). Only drawback is that it only takes cables up to 5.7mm diameter. So I had to work around this limitation to use the Sommer The Spirit cable (8mm dia.) that I also ordered. Nothing an appropriate quantity of hot-shrinkable sleeve won't solve... Add a Neutrik 6.35mm plug in the mix, and get your sound back, wireless !! A good plug for Sennheiser G2/G3 radios. Does not have any cable strain relief which is disappointing & the screw ring can fall of the plug altogether if over tightened or if it is pulled hard enough. In saying that the Sennheiser OEM plugs are 4 times the price. ID: 331666 © 1996–2019 Thomann GmbH Thomann loves you, because you rock!